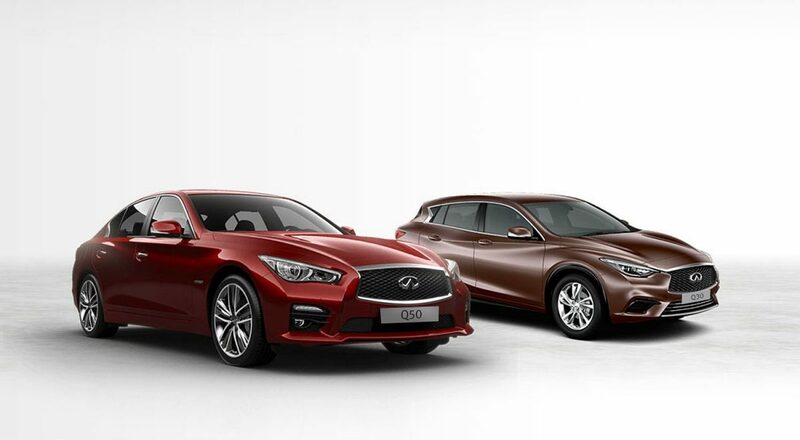 INFINITI offers you a comprehensive and highly competitive range of expert solutions tailored to your personal or business needs, to ensure that the process of financing and insuring your new vehicle will be every bit as smooth as driving it. For further information please provide us with the details below so that we are able to get back to you as soon as possible. * By giving us your contact details it means you're consenting to have INFINITI contact you about arranging a test drive and to receive updates from time to time about Infiniti. Any 'ticked' formats assumes you are happy to receive communications from INFINITI in that format. Offer valid between 03/01/2017 and 31/03/2017 in 2016 model INFINITI New Cars. Retailer participation required. Must take delivery from new retailer stock. See participating retailer for details. Bayraktar Otomotiv does not have any word or responsibility in the application and evaluation process of the loan. Bayraktar Otomotiv always has the right to change the offer conditions and / or to cancel the offer. The actual vehicle, materials and specifications may vary from shown.